Valentine’s Day is just around the corner and Keystone is one of the most romantic places to be with that special someone or your loved ones. Wondering where to book a dinner reservation? Here are 4 (of many!) of our top choices to spend a romantic evening on your Keystone Ski Vacation. This is definately one of the most romantic spots in all of Keystone! You’ll be treated with top notch service as you dine in a very intimate dining room at what was once an old 1800’s stage coach stop, today a cozy bed & breakfast and incredible restaurant and even a wedding venue in the summer months. The chef prepares a weekly-rotating four course menu for guests, including the 4th dessert course which you eat near the blazing fireplace! This is a must-do dining experience at least once in your life, but beware, reservations are required and fill up very quickly! Another one of Keystone’s fine dining experiences, but this one involves taking two gondola rides to get there! The Alpenglow Stube is located atop of North Peak at 11,666 feet and is the definition of a classic on mountain restaurant. Take in the mountain views by the oversized grand fireplace to enjoy shareable European inspired plates prepared on a wood-fired open grill. In 2017, the Stube was named one of OpenTable.com’s Top 100 Scenic Restaurants in America, and is also the recipient of a Wine Spectator Award of Excellence. Seasonal and locally sourced ingredients are often used to prepare some of the best dishes in all of Colorado! They are also offering a special family style Valentine’s Day Lunch, on February 14 from 11 am – 1:30 pm! Ripperoo will be on hand, helping to serve up the fantastic shareable lunch menu! Kids will have a chance to decorate their very own hot cocoa mug to take home as a souvenir! To make your reservation call 970-496-4386. 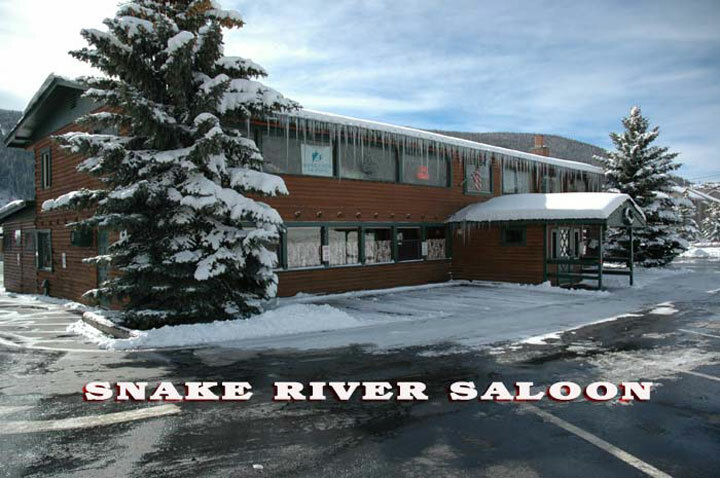 White tablecloths and an intimate dining room make the Snake River Saloon perfect for a night out with your honey. Delicious steaks and seafood and an extensive wine list are all on the menu at this long time favorite restaurant in Keystone. Stay late after dinner to enjoy a nightcap and live music in the saloon on the weekends, typically Thursdays – Saturdays. A slightly more casual evening, but the food is just as incredible. The modern mountain setting is cozy and fun and the food is high quality and fresh. Start off with appetizers such as oysters or their to-die for goat cheese brussel sprouts and then order entrees like the pan-seared salmon, the jam burger or short ribs. After dinner, walk it off with a stroll around the village under the stars or a warm up next to the outdoor firepit in the main plaza.